The ARC offers Developmental Studies courses for students who demonstrate a need to strengthen their academic skills in preparation for college level course work. Courses in mathematics, reading and writing are provided, based upon the student’s needs. The designated courses are determined by a standardized placement test. A broad range of hours are scheduled in order to accommodate day, evening and weekend students. The service is staffed with professional and peer tutors. Students may be served individually or in small groups on a first-come first-served basis. The schedule is located on the ARC webpage. The ARC offers testing for students who need to make-up tests in which they did not demonstrate mastery. The lab maintains multiple versions of tests and are able to administer the tests by appointment or as prescribed by faculty members. Students who are determined to have disabilities are accommodated under the direction of the ADA coordinator. The ARC TAC provides services university-wide. View the Test Accommodations Lab Schedule here. 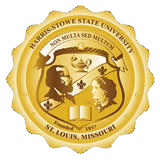 Harris-Stowe State University is committed to compliance with the Americans with Disabilities Act (ADA) and Section 504 of the Rehabilitation Act. While ensuring the academic integrity of its programs and courses, the University is dedicated to providing reasonable accommodations needed to ensure equal access to educational opportunities for individuals with verified disabilities. An ADA coordinator is housed in the ARC to verify eligibility and coordinate services (as defined by Section 504 of the Rehabilitation Act), while the highest standards of confidentiality are maintained. Students are required to self-identify for services and to provide requested documentation. Forms for the application process can be found on the ARC webpage. Applications should be submitted to the ARC ADA office. Experienced, trained workshop mentors and peer learning assistants host content workshops. The workshops involve enthusiastic dialogue, relevant application of course concepts, specific course related study techniques, strategies for exam preparation, peer collaboration, specific content practice and clarification, emotional support and various additional topics.